We, at European Kitchen Center, love when a former customer comes back with a new project. 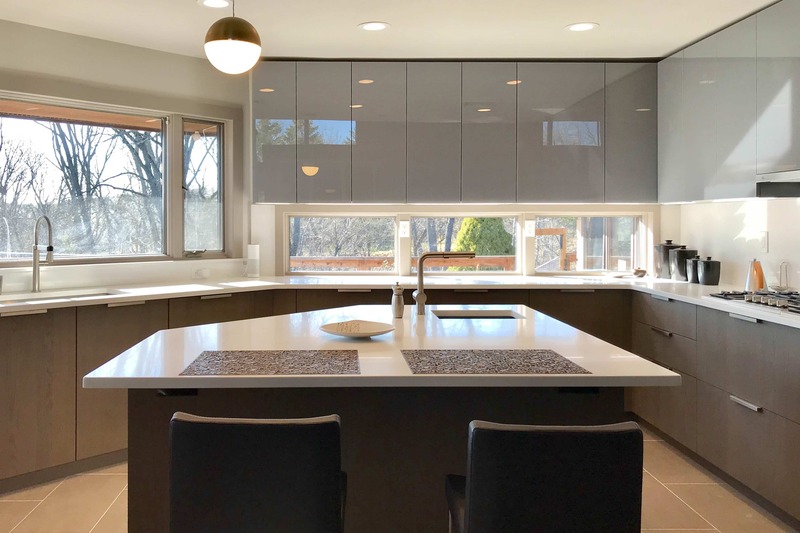 Either it’s a remodel of a kitchen in a newly purchased house or apartment, or a family member getting their own place, or just time for an update, it is a tremendous endorsement for our business. This was the case with the client who stopped by last year with the desire to remodel a kitchen in the new house. Even though the existing kitchen was in the decent shape, it was dated, lacking functionality, and just poorly arranged. We have started by moving key cooking areas to create more logical, ergonomically correct flow. We also expended kitchen by removing awkward storage and introduced a sit-in breakfast island. 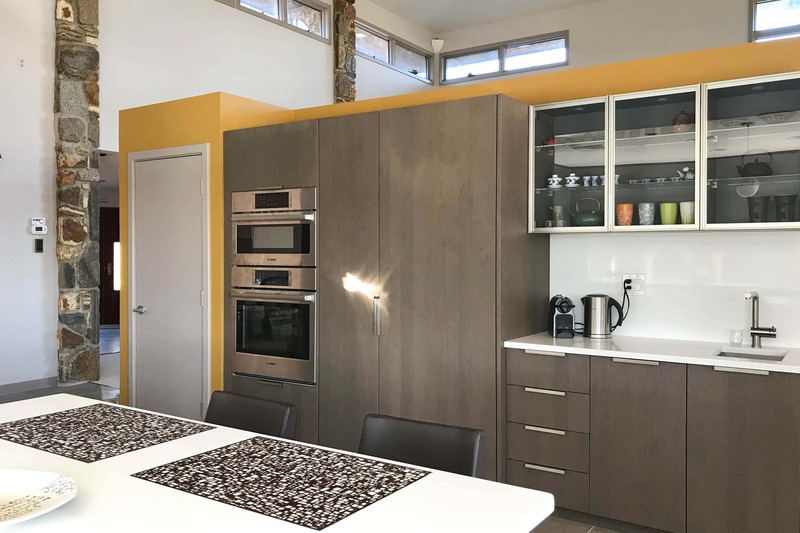 This new configuration, using old footprints, allowed us to create a modern kitchen with well-defined cooking areas, yet in cohesive harmony. The result is this modern kitchen, suitable for multiple cooks and entertainment. 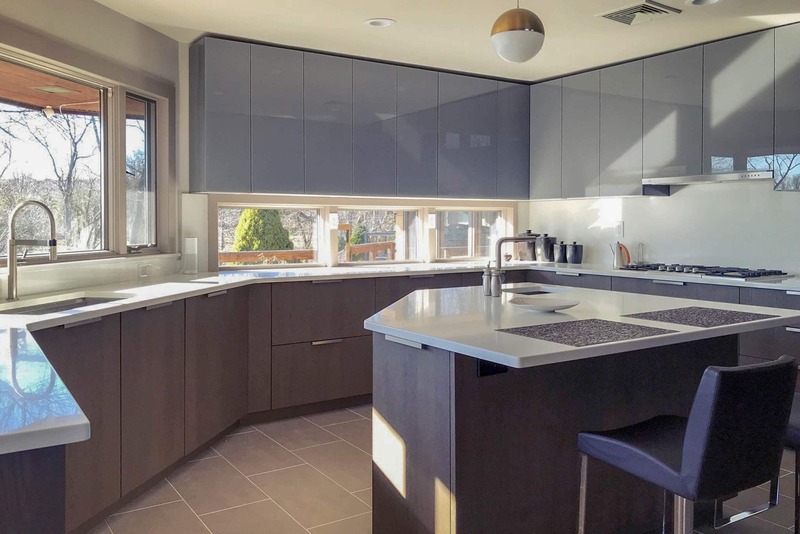 Cabinetry was executed in stunning dark wood veneer in combination with painted glass and topped off with a quartz countertop. 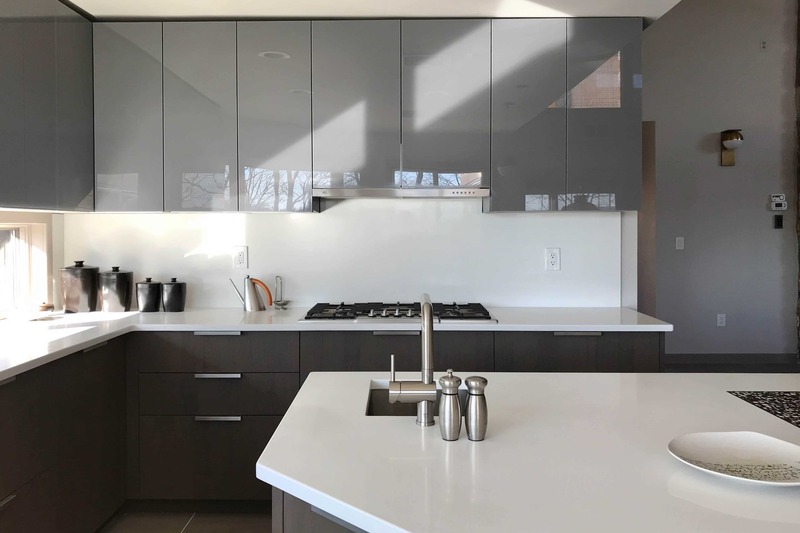 Further, we elevated functionality by integrating high-end appliances, a multitude of contemporary kitchen systems and organizers, and proper task lighting. 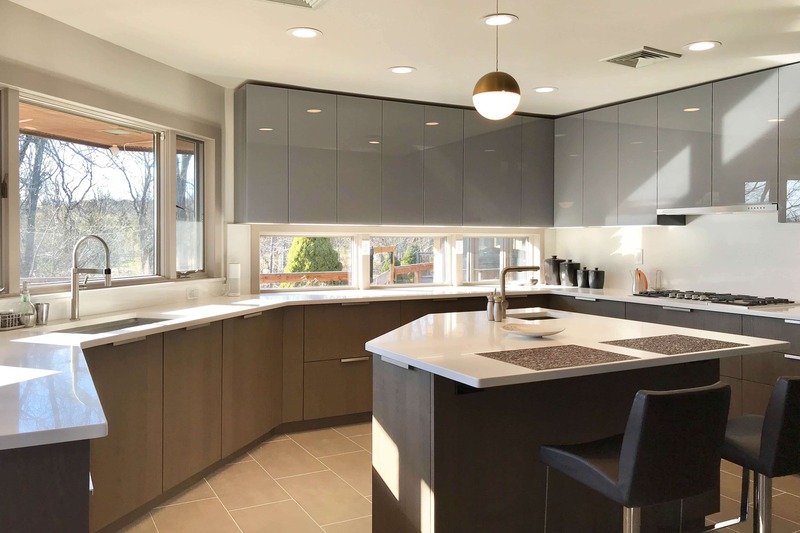 We, at European Kitchen Center, strive to create a positive experience for all our clients when undertaking such tremendous task as a kitchen remodel. We are here to help.